Dr Comfort Orthotic Slippers are supplied with a pair of removable Dr Comfort Gel insoles which provide support for sensitive feet. Dr Comfort Gel Insoles are specially designed to provide medial and lateral stability for bio-mechanical support and balance and provide shock absorption to reduce stress on the joints. The insoles also include gel pads on the heel and toes to increase comfort. 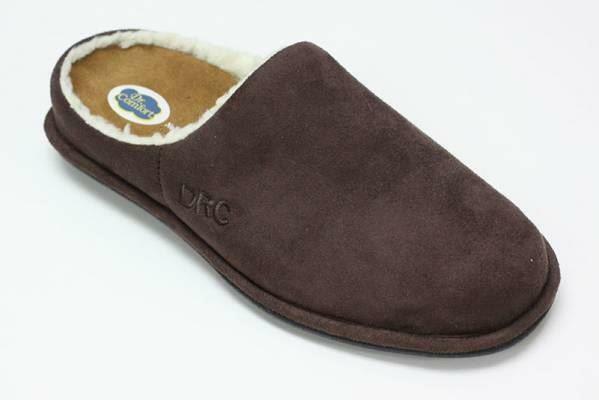 The slippers are ideal for people living with diabetes and arthritis, as well as for anyone who just wants some extra support for their feet while at home. As the gel insole is removable it may be replaced with a prescription orthotic. The slippers feature a non skid sole, a specially designed toebox for extra protection and a soft lining for warmth and cushioning. Dr Comfort slippers are available in multiple colours with an open back or as a fully enclosed shoe and can be purchased from any of Core Physio’s 9 Adelaide locations.